When I was six years old, I started taking violin lessons. The violin is a difficult instrument to master. Unlike a piano where you have specific keys to press for each note, with the violin you have to develop a feel for just the right spot to place your finger on the strings. Slightly off and you can produce some blood-curdling sounds. If you think fingernails on a chalkboard are bad, just listen to a beginner on the violin! We had two cats at the time, upon whom this new musical adventure was thrust. The violin came into their home and their quiet naps were now interrupted with the screeching sounds of a six year old trying to play scales. They did NOT react well to this change! As soon as I’d start, they’d start doing flips – quite literally “flipping out” over this new torture they were being subjected to. Soon they learned to run and hide as soon they saw me take the violin out of its case. They just couldn’t handle this change to their world. It was too much to bear for their sensitive ears. How Do You React When Life Brings Changes? Have you ever reacted this way to something in your life? When the change comes, you “flip out” or try to run away? The cats never could run very far, but oh how they tried! Maybe your running away is just a small escape. You know you can’t really get away from this trial life has handed you, but you keep looking for ways to escape, even briefly. Maybe you go into denial and just try not to address the change at all. Or, is your reaction is more like drowning? The pressures, stress and worry build up until you feel you are being crushed under the weight of it all. You feel like you’re going under and won’t be able to come back up for air. You’ve lost your footing and can no longer see dry land. As my violin playing improved, the cats eventually came out of hiding. The flips stopped and they learned to tolerate this change. I played for six years, so it became part of our new normal and they learned to live with it. Often, our default responses to change fall into one of these categories: learn to live with it, ‘flip out’, drown under stress and worry, or try to run away. As we continue our study on change, start paying attention to changes in your life and see if you can identify your default response. What If You Could Reset Your Default Response to Change? How would the experience be different if you could change your default response when life brings changes or trials your way? What if you could learn to accept life’s changes more readily and stop fighting so hard against them? When change comes, let’s develop a new response of leaning into the change, embracing it and trusting God to lead us through – even if it’s not a change we want. Look for the redeeming part of the change. Find where the change is refining you, growing you, making you better. Trust God to lead you through the change and trust that He’ll get you through the other side – maybe even in a better state than when you entered in. Learning to accept and embrace the change will only improve the trip. 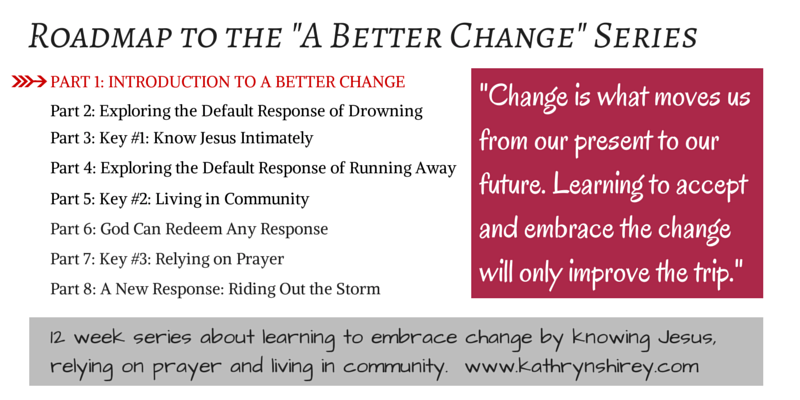 What is your default response to change? Do you ‘flip out’, drown under stress and worry, or try to run away? 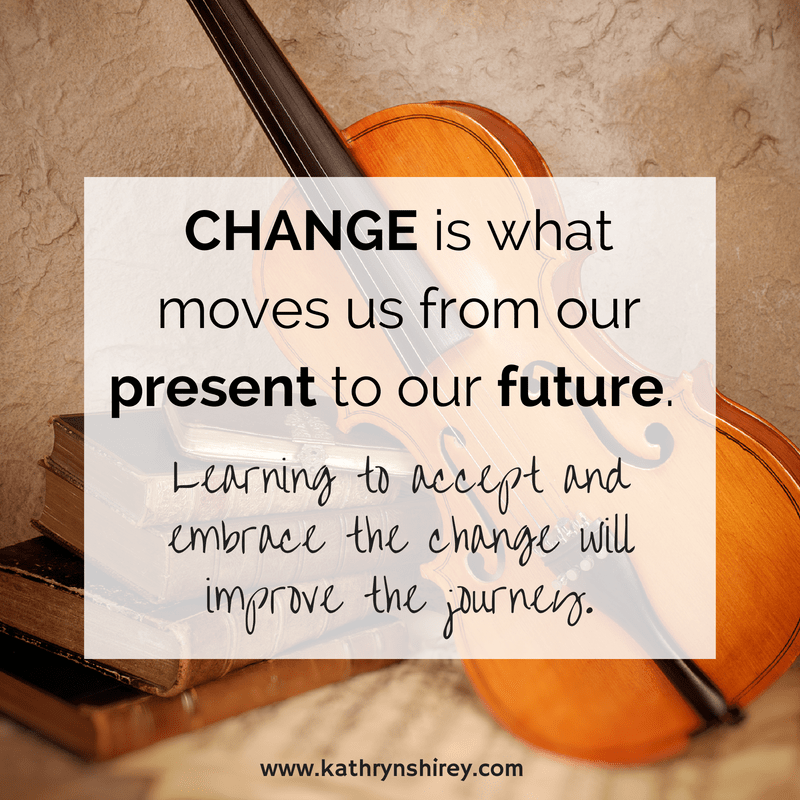 What keeps you from embracing change? How would your experience be different if you looked at changes from a different perspective? What if you could embrace the change and lean into God instead, even if the change is unexpected or unwanted? Next time you’re faced with change, consider your response. We can’t avoid changes or trials in our lives, so why “flip out” or run and hide? 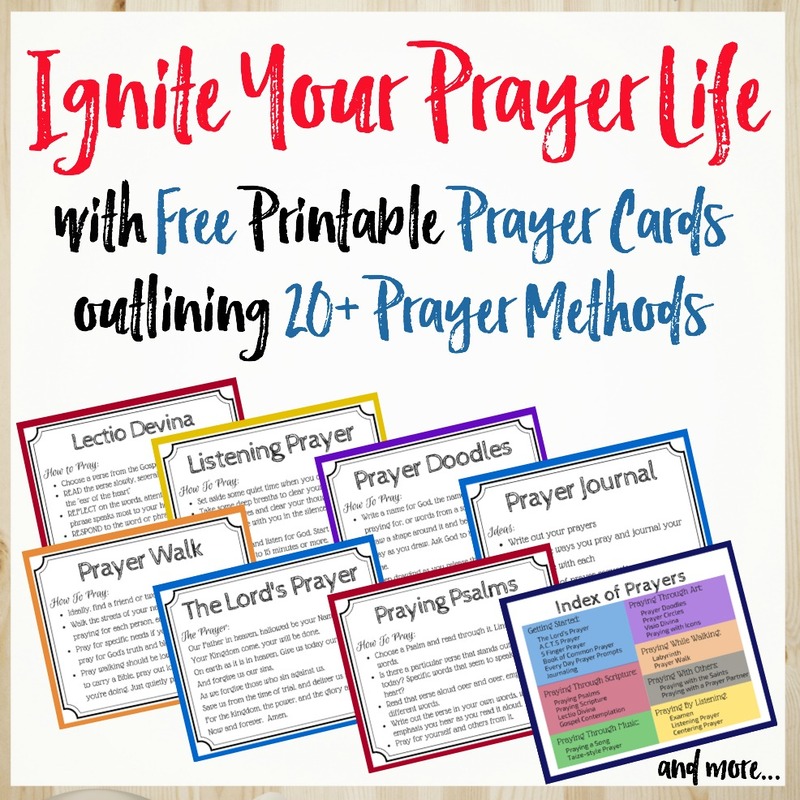 Instead, look for how God is at work in the change and lean on Him through prayer and scripture for support through the journey. I’m right, smack-dab in-the-middle of quite a few changes right now so your article is very timely for me. My response has been “all of the above”! Recently I made the shift to embracing the change. Definitely the best way! Thanks for sharing this with us at Coffee and Conversation! So glad this is speaking to you! Embracing the change can be the hardest response, but definitely the best in the end! Change is so hard for me — I adjust slowly – but I love your thoughts (and I’m trying) to lean into the change. God has surprising things for us sometimes if we can open our hearts and look at it through his perspective. Encouraging words! It’s not easy to accept change and perhaps even harder to trust God to lead us through. Glad you were encouraged by this and hope you’ll stop back by as we continue this discussion! Change is definitely a hard one for me, and I often start worrying. I love your point about learning to trust God through change, and I think that is a good one to keep in mind when change comes into my life next. Even if change is not what I want, surely it is a good thing if I learn to trust God more! I’m so bad about getting caught up in the worry, too! I want to have all the answers and it drives me crazy thinking about all the ‘what-ifs’. That’s when I really have to remind myself to trust God and remember “God has this” and He’ll be by my side no matter what happens next. I am trying to be better about embracing changes and accepting that God is trying to teach me and help me grow. It is definitely a constant choice! I find it’s a process and constant reminding myself to make that choice. Some changes are easier than others to do this! My default to change is hurrying to change it to what’s comfortable for me. I love this post because God have taught me that not embracing change is at the core of my problems. And it doesn’t have to always be negative change either. My wife just sent me pictures yesterday of houses she would like for us to pick from and my stomach started turning and I began to think to myself, “maybe we don’t need to buy a home.” I was ready to run back to my comfort zone. Great post! Start with prayer and let God guide you in your change. See if that path is one He wants for your life and then trust! Maybe He has great things planned for you in a new home? Maybe He will open other opportunities for you. Or, maybe you don’t need to move – but our challenge is to make sure we don’t say ‘no’ out of fear, but rather out of discernment. Good luck to you!